It is the year 1965. Mary Quant introduces the miniskirt to society in her shop in Chelsea; the Dalek-style Post Office Tower is opened; and the Beatles play their last ever live UK tour date. Most importantly, on 1 April, a new system of city government is introduced and London’s thirty-two boroughs are born, revolutionising the capital into the place we know today. New names had to be chosen, councillors elected and policies formed; these boroughs and the Greater London Council between them took control of housing, roads, planning, schools and social services. Half a century on and, though the GLC was abolished in 1986, the boroughs live on, now working alongside a new metropolitan government headed by mayors Ken Livingstone and, since 2008, Boris Johnson. 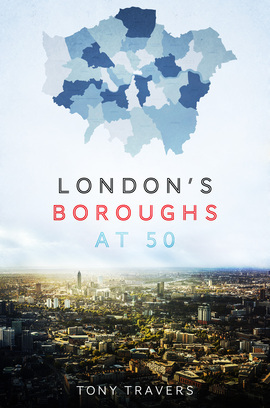 remarkably diverse boroughs have not only survived, but actively shaped both the city and the lives of its inhabitants in their impressive fifty-year history.